Happy Friday!! How was your first week of 2012? Lovely I hope. I am still packaging and am going to move to a workspace/warehouse that my brother + I rent together, hopefully next week. Gotta get myself organized. I have so much going on (doing a wholesale show next month! any tips?) and I haven't even made it through the first month of the new year. Is it crazy for anyone else out there? Here's a little reminder for anyone else feeling overwhelmed already. I just need to breathe. and not take so much on. Know my limits. I love this font by the way. I don't know what about it. I'm just using it everywhere. Well this weekend I am looking forward to spending time with my husband. What are you up to? Thanks for all your comments this week friends. They are fun to read through and I appreciate you taking the time to leave one. 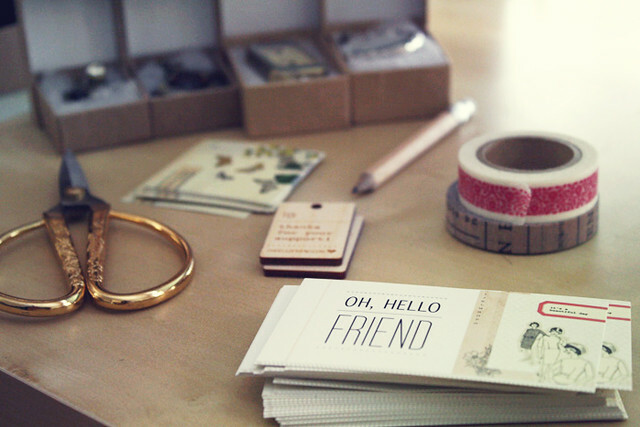 New blog design coming very soon :) See you next week sweet friends. those...scissors..are so awesome. good god. I saw that image and grinned at the scissors. As for the overwhelming feeling... I've been feeling it every single hour since the clock turned to midnight on New Year's Eve. so much to do and fit all into a single year. And good luck with the show! I'm sure it'll be splendid! 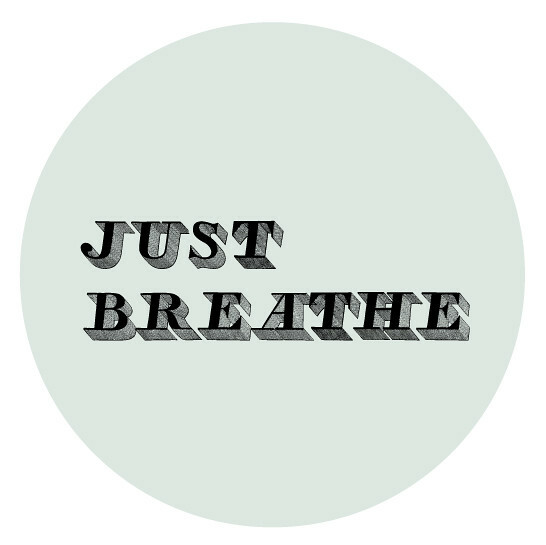 great reminder - i really need to just breathe and sort my life out. good luck with the rest of your month! Wow! You do have a lot going on! And a blog redesign? Eek! I can't wait! Hope you have a wonderful weekend! I hear you on the need to get organized. I'm starting a new job in the next few weeks and that amount of organizing that needs to happen in the meantime is mind boggling. If you come across any tips, pass them along? hooray for a new workspace and keeping busy :) it's just the beginning of jan and i feel so many possibilities. i'm looking forward to supply buying and beach days this weekend. happy friday!! So true. Sometimes it's so hard to take a step back and just relax for a moment. My plan is to do the same this weekend. Hope yours is going well thus far! Looking forward to seeing the new blog design. Such beautiful images on your blog. I smile everytime I come here. About the font--I think the shadow makes it look deeper, and roomier, therefore giving more room to breathe, lol. Your clean crisp style reminds me that it's a new year, that organization is possible, and that being overwhelmed is better than being bored. I look forward to the reader appreciation week and the new features. All the best for the new year. What a great reminder, Just Breathe. This week I started cosmetology school and i love it but its definitely a change in our lives. Just what I needed to hear! ( or read I suppose!) hope this month is wonderful and fruitful for you dannie! i just love your blog - thanks so much for sharing! xo good luck with the move! Yes! this weekend after the holidays was the perfect time to sit down and relax! Happy new Year! Those scissors are so coooool!